Some of my most frequently asked questions are answered below. If you have a specific question, please get in touch. I’d love to hear from you. Yes. We ship all products worldwide. A shipping estimate is provided on the checkout page before the payment is processed. Free shipping is complimentary with all framed prints. I’ve ordered a print, when will I receive it? Please view our shipping information page for details. My studio is based in Brisbane, Australia. Are prices on the website in Australian dollars? Yes. All prices are in Australian dollars and include GST. If you are purchasing from outside of Australia this tax will be automatically deducted at checkout. We send all goods from Australia. Depending on your location you may be charged sales tax by your country of residence. You will not be charged extra sales tax if you reside within Australia (GST is included in our prices). Yes. Afterpay is available for Australian customers. *A very small selection of photographic prints are not available in the large and/or extra large sizes. ** Gift size prints are open editions, not limited. My work is Giclée printed on heavyweight archival Hahnemühle rag paper. All prints are made in Australia. I’ve seen a photograph of yours that I love but it’s not offered in your shop. Am I able to purchase it as a print? Yes. If you see an image belonging to me on any of my social media channels, I am more than happy to arrange a custom print for you. We are happy to print your favourite artwork in a custom size for you. Please contact us at [email protected] if you would like a quote to arrange a custom order. Yes. I offer framing in my signature style on all limited edition photographic prints. I work with a local professional art framer to finish your new photographic print in my signature style – unstained Tasmanian Oak with a traditional mat board*. Your artwork is printed to order and personally signed by Kara in her studio before being delivered to the art framer to be custom framed and finished. It is then shipped securely in a custom-made wooden travel box to ensure its safe delivery to your address. Please note: During peak periods framing turnaround times may be extended. Please contact us for more information. What are the exact dimensions of your framed prints? 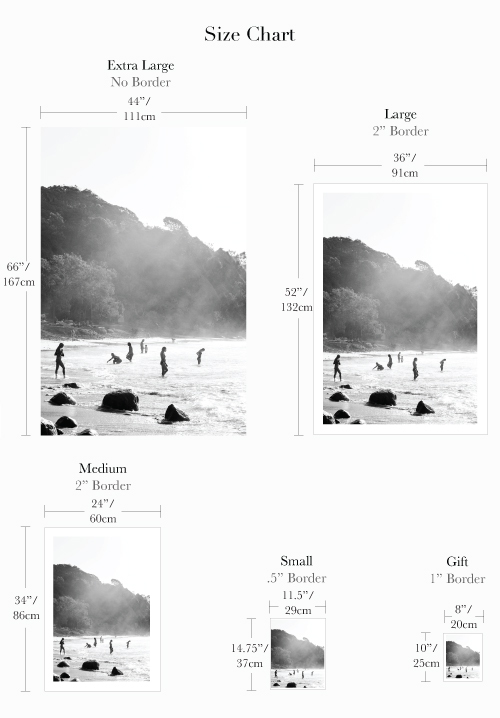 The dimensions below refer to the finished size of the framed artwork. Please note: Small, Medium and Large sized prints are framed with a traditional mat board. The Extra Large sized print is printed edge to edge and framed without a mat board. Not unless you obtain permission to reproduce my images, email [email protected]. It is a breach of copyright otherwise. All images must be credited by Kara Rosenlund and linked to https://www.kararosenlund.com if they leave this site. Absolutely. We are committed to protecting your privacy. We will only use the information that we collect about you lawfully and you will not receive marketing emails from us just because you have placed an order in the past. Unless you want to receive our newsletter of course! Click here if you do. I have a question that hasn’t been answered, how can I contact you? I’ve love to hear from you – my contact details are here.